In her family of black-haired relatives, Annie’s bright-red locks were an anomaly. Her grandfather was very surprised by how different Annie looked from his other grandchildren, and exclaimed, “What an anomaly this girl is!” All the children in her neighborhood called her “carrot top” because of her anomalous, odd red hair; she was the only child they knew with such a striking and noticeable feature. Quiz: Try again! What is an anomaly? A type of rock that you don’t recognize. A trait that is unexpected and therefore highly visible. Seeing someone you haven’t seen in over a week. Abnormal An anomaly is abnormal, or not what you would normally expect! An anomaly is “not the same” as other things. Note here that the “h” in the root word “homo” is dropped for purposes of easier pronunciation. 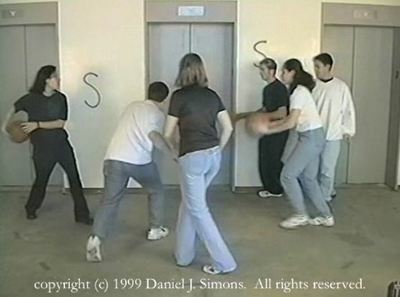 YouTube: Daniel Simons (Selective Attention Test) Will you see the anomaly?